Family Friendly Vacations and Resorts by Thomas Cook Canada! If you’ve never heard of Thomas Cook Canada, well, they are a leisure travel group that offers amazing vacations at affordable prices. Best thing is that they are geared towards families and kids of course! Thomas Cook operates under five geographic segments in 21 countries, including Canada and the United States, and are number one or number two in all of our core markets. Our business is supported by 31,000 employees, a fleet of 95 aircraft and a network of over 3,400 owned and franchised travel stores. We are a travelling family. We love to travel and make it a point to have at least one vacation a year, though most times it turns out to be a few but, usually one big one where we go all out. We are a family of four and going to resorts or destinations that are family friendly is of utmost importance. When choosing a resort we want to be assured that it has a high star rating, that it accommodates families and that it’s at a reasonable price. 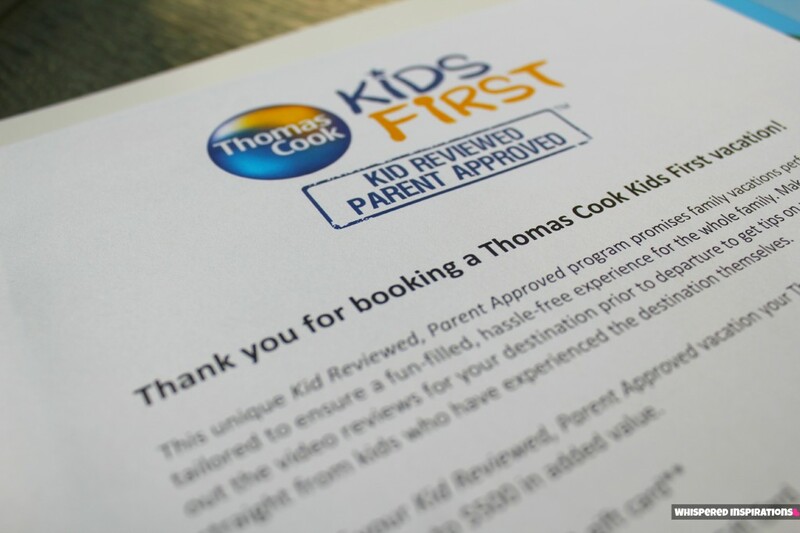 I was asked to review the Thomas Cook Kids First Program and let me tell you, it’s AMAZING. Especially for a traveler with kids, it rocks! Well, when you book a vacation through Thomas Cook, you get tons of extra perks! You have so many choices with Thomas Cook whether it’s American Vacations, Canadian Vacations, Mexico Vacations, Europe Vacations, Caribbean Vacations even down to the Middle East and Africa! You can view all the destinations, here. We plan to do more travelling by this year’s end and more into the next year, I will definitely be booking through Thomas Cook because of the immense options and this Welcome Package of savings of course! Back to the perks, what do you get? You get $500 in Extra Value! First off, you get 3 awesome gift cards that altogether come to a value of $100. A $25 Indigo card, a $25 Shoppers Drug Mart card and a $50 Kids First Visa Prepaid Card that can be used internationally. This is perfect to head to Indigo or Chapters and stock up on activities for the plane ride but, since the Welcome Package comes with activity books you might get a little reading material for yourself. With the Shoppers Card, you can definitely get toiletries for the road and any other first-aid products that you will need while travelling. The $50 Visa, well, you can put that to use with pretty much anything whilst travelling. You also get a 1-year Today’s Parent subscription, a magazine that I am a big fan of and it’s great to keep up to date with the modern parenting world. Now, the things that will make your trip even better is you get FREE seat selection, a FREE airport lounge pass Park ‘N Fly savings where you can save up to $1.00/day in parking and a FREE kids activity book that will keep your kids busy during the flight and during down times (if you have any) on vacation. So, on top of savings where you can get deals to Puerto Plata for about $569 plus tax per person and you get even more savings with the extra perks from Thomas Cook Canada. I will definitely will look into booking my next vacations that I am planning for in 2013 through Thomas Cook just because of the extra care they take in providing an experience for families. Be a Kid Travel Blogger & Win Great Prizes! Submit a video review of your vacation. Tell Thomas Cook all about your favorite parts of the trip like fun things to do and see, your favorite beach, the people you met and the resort you stayed at. You can win weekly prizes of $100 Indigo Gift Cards or $100 Movie Family Passes and if you submit an entry you will be eligible to win the Grand Prize which is a trip for your family to Beaches to Ochos Rios! 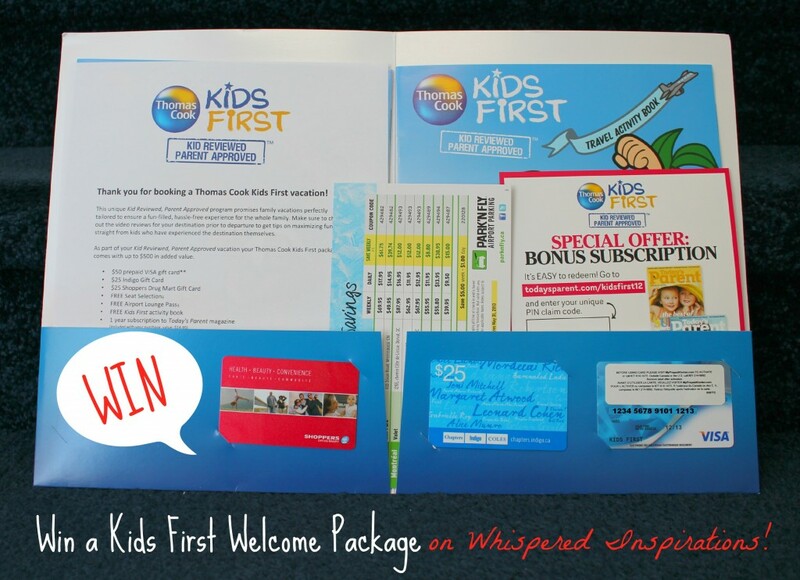 Thanks to the gracious folks of Thomas Cook Canada, one lucky CANADIAN Whispered Inspirations reader will win a Thomas Cook Kids First Welcome Package! Contest closes on January 3rd, 2013! 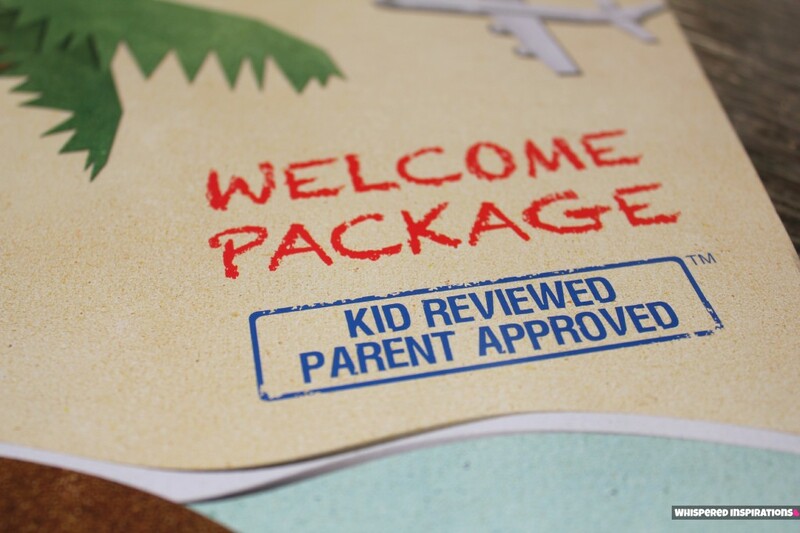 What attracts you and gets your attention when booking a family vacation? I would love to go to St. Luica! I have never been outside of Canada and the US, so this would be amazing. My recent post Scholastic Makes a Perfect Gift for Kids of all Ages! I've never heard of them until recently – will definitely keep them in mind for our next holiday! Thomas Cook is absolutely awesome! Love that they aren't only thinking about the parents but also the kids! Great way to get parents happy as well as the kids! Oh wow! I am excited by Thomas Cook – IF we ever get it together enough that we can go away, I will be sure to remember this post. Love to travel. Aruba, please! Would love to travel to Australia. St. Lucia!! It's absolutely beautiful, thanks! I'd love to visit Turks & Caicos. I've love to travel to Puerto Plata. I've always wanted to visit Jamaica, and Runaway Bay looks gorgeous! I'd love to vacation in Turks & Caicos. I'm still waiting for my Thomas Cook package in the mail and I'm super excited about it. The cost savings alone are tremendous and well worth it from what I hear. Montego Bay, Jamaica, so my daughter can meet the rest of her family. I'd love to travel to Cayo Santa Maria, Cuba. St. Lucia! I always wanted to go there! I’d like to travel to Cuba! I would love to travel to New zealand!!! Runaway Bay Jamaica would be awesome! I'd love to take my family to Jamaica! I would love to travel to Jamaica or any of those places really!! I would love to go to Turks and Caicos! I would love to go to Cancun, Mexico!! I would love to travel to Mexico! !